This recipe for potatoes O'Brien is a wonderful way to use leftover boiled or baked potatoes. In fact, it's worth cooking a few extra potatoes just to have the leftovers so you can make this iconic comfort food. This variation on a traditional recipe for potatoes O'Brien is called O'Brien au Gratin Potatoes and is found in a slim cookbook called "Mrs. Rasmussen's Book of One-Arm Cookery." It wasn't that Mrs. Rasmussen had only one arm, it's that one arm was already dedicated to holding a beer while she cooked. Heat the oil or bacon grease in a skillet over medium heat. Add the bell pepper and cook for about 2 minutes, stirring once or twice. Stir in the potatoes, green onions and garlic. Season with salt and pepper and cook another 3 minutes, stirring occasionally. 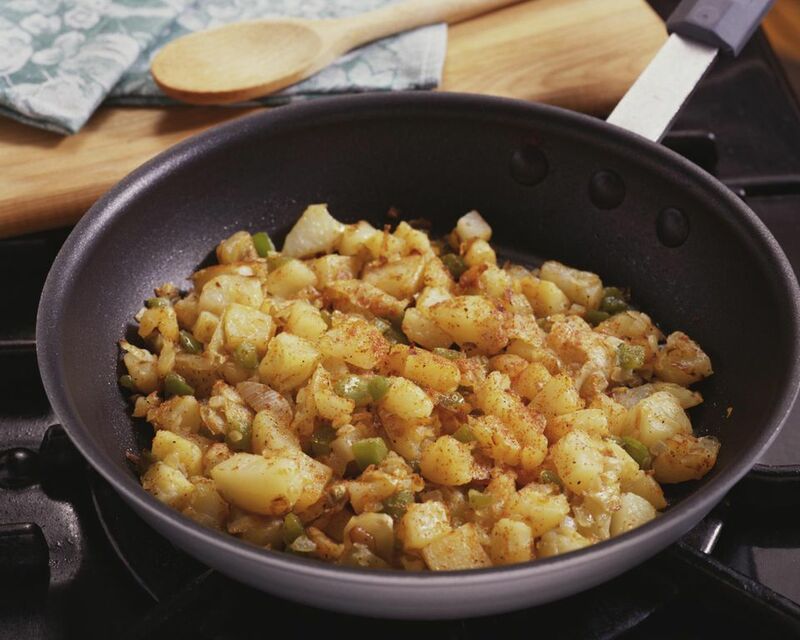 Spread the potato mixture evenly in the skillet and sprinkle with the cheese. If you use cheddar cheese use a non-stick skillet. Cover the pan and cook 5 to 7 minutes longer, or until the bottom side of the potatoes is browned.